2 x LP 140grs 33&frac13;rpm remastered =with Bonus LP of Unreleased Demos! 2017 EU remastered issue on 180g 2xLP- Long Awaited 10th Installment in Paul McCartney's Grammy Winning Archive Collection features Remastered Version of Original 1989 Album Plus Bonus LP of Unreleased Demos! 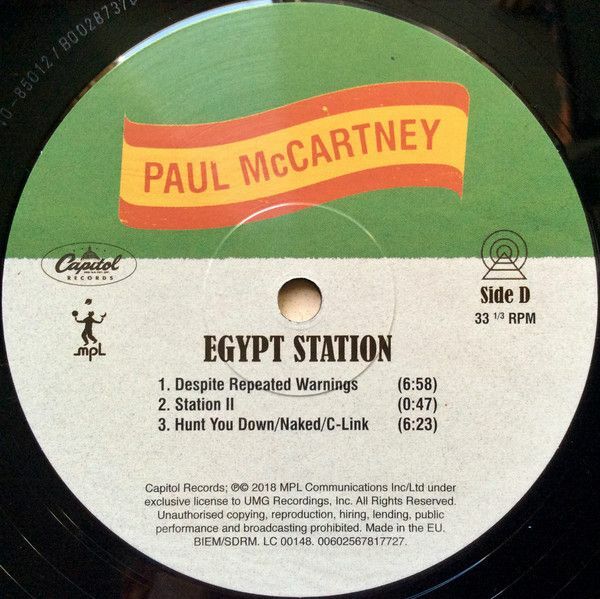 Egypt Station was produced by Greg Kurstin, with the exception of one track produced by Ryan Tedder. The album is McCartney's first studio release since 2013's New. The album's first (double A-side) single, consisting of the two songs "I Don't Know" and "Come On to Me", was released on 20 June 2018. 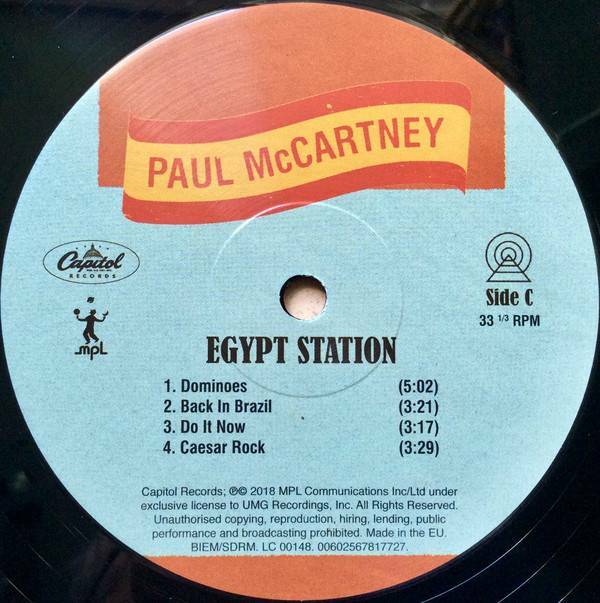 The name "Egypt Station" is shared by one of McCartney's paintings from 1988, from which the cover art is derived. It became his first number one album in the United States since 1982's Tug of War and his first to debut atop the Billboard 200. 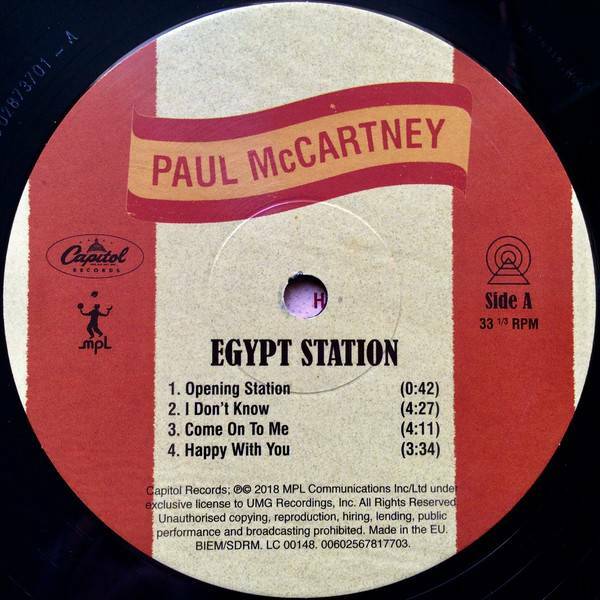 "Sir Paul McCartney will release his new studio album Egypt Station on September 7. The album has already been ushered in with the double A-side single Come On To Me (former Radio 2 Topsong) / I Do not Know. 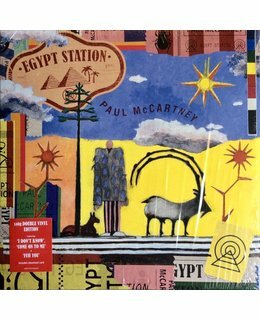 'Egypt Station' is McCartney's first new album since 'New' from 2013 contains 14 new songs and was recorded in Los Angeles, London and Sussex under production management by Greg Kurstin (Adele, Foo Fighters, Beck). The album is, as the title suggests, a real musical journey in which McCartney takes the listener between the instrumental opener and shutter 'Station I' and 'Station II' to a different destination, from an acoustic meditation to 'Happy With You ', the timeless' People Want Peace' that would fit on every previously released McCartney album to the 7-minute closing epic 'Despite Repeated Warnings'. 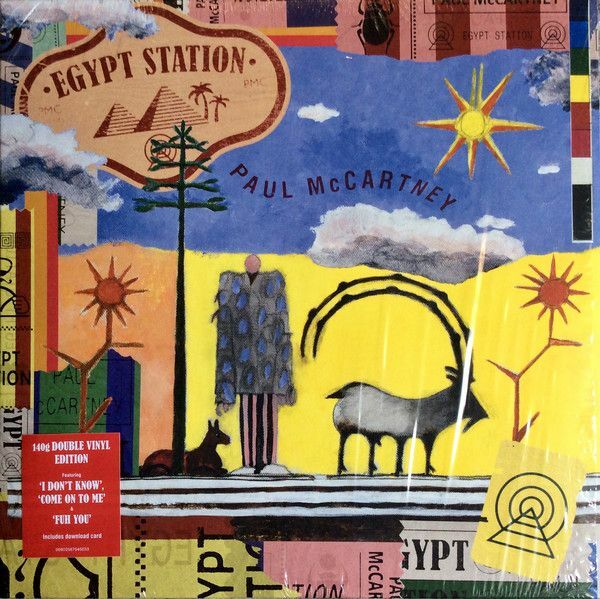 The total sounds like a musical trip through the past decades but without losing sight of the present, and always with Paul's recognizable melodies and texts as a guide. 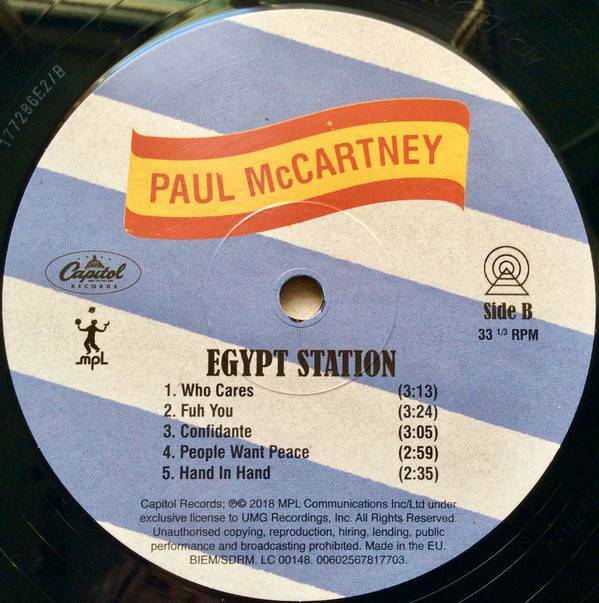 The announcement of 'Egypt Station' was preceded by a performance by Paul in Carpool Karaoke in the popular show by James Corden. This has now been viewed more than 30 million times. Extra info: remastered =with Bonus LP of Unreleased Demos!